Non-alcoholic fatty liver disease (NAFLD) is defined medically as macrovesicular steatosis, or abnormal retention of lipids (fats) sufficient and large enough to distort or replace the nuclei of liver cells among those who consume less than 20 grams (.7 ounces) of alcohol per day. NAFLD, unknown prior to 1980, has become our largest liver health issue nationally and throughout most industrialized nations. Fatty liver disease affects metabolism and usually manifests as obesity and insulin resistance, which are direct co-factors for type 2 diabetes. It can also progress to inflammation of the liver, or non-alcoholic steatohepatitis (NASH), leading to cirrhosis. Ironically, a saturated fat (virgin coconut oil) may prove to be the safest and most effective treatment for NAFLD according to a study published recently (September 2017) in the Journal of the Science and Agriculture of Food. The study, “Virgin coconut oil reverses hepatic steatosis by restoring redox homeostasis and lipid metabolism in male Wistar rats,” noted in its background statement that more nutraceutical offerings are being sought for reversing fatty liver disease. After four weeks on a high fructose diet, the rats developed non-alcoholic fatty liver disease, or hepatosteotosis. This was confirmed by observing the rats’ hyperglycemia (high blood sugar), reduced glucose tolerance (medical term for a zone between high blood sugar and diabetes), dyslipidemia (high blood lipids – triglycerides, etc.,) and hepatic macrovesicles (lipid displacements of liver cell nuclei). Although the rats could possibly eventually recover from hepatosteatosis (NAFLD) if taken off the high fructose diet, their recovery was accomplished more rapidly by feeding them virgin coconut oil (VCO). Their HDL (high density lipoprotein) or “good” cholesterol blood levels quickly increased by over 50 percent. Liver triglycerides were reduced 78 percent and blood serum triglycerides were reduced almost 52 percent. The liver is an important source of glutathione (GHS), a vitally important antioxidant that can be replenished and recycled only by a healthy liver. The rats glutathione levels also increased, resulting in increased antioxidant enzyme activities. The liver easily metabolizes coconut oil’s medium chain triglycerides or fatty acids (MCTs) and converts them into ketones which are easily metabolized for energy by the brain when glucose metabolism has faded, evidenced by use with dementia and other neurological issues. What about High Fructose Corn Syrup Effects on the Liver? The high fructose corn syrup diet was emphasized earlier in this article for a reason, to point out that HFCS was used to induce non-alcoholic fatty liver disease in the rats. High fructose corn syrup (HFCS) was developed as a sweetener to replace refined sugar as far back as the 1950s. Its use was not widespread until the 1970s. Around 1984, HFCS became the go-to sweetener in Pepsi and Coke as well as other beverages and processed food items, including pastries, candies, and even several unsweetened processed junk foods. Is the correlation evident yet? Dr. Robert Lustig has certainly made this correlation obvious with his viral YouTube video lecture, “Sugar, the Bitter Truth,” where he explains how the rise in added refined sugar and fructose is the true culprit responsible for obesity, diabetes, and heart disease (not saturated fats, the usual suspect held by mainstream medicine and nutrition). HFCS is synthetically derived from processing corn sugar. The process creates a very concentrated form of fructose that is accompanied with some sucrose. This makes the corn sugar even sweeter and less expensive than cane sugar. Many argue that HFCS is the same as sugar but that is incorrect. The liver cannot metabolize highly concentrated synthetically derived fructose, it becomes fat that is mostly stored in the liver. This is the crux of NAFLD. The timelines of HFCS use and increasing NAFLD cases are related. In Canada, they call it Glucose-Fructose. In Europe, they call it Isoglucose or Glucose-Fructose Syrup or Fructose-Glucose Syrup. If you have experienced some HFCS liver damage from past or current dietary indulgences, ignorance, or label reading negligence, you can educate yourself now and take advantage of virgin coconut oil to get rid of any trace of non-alcoholic fatty liver disease that is manifesting as poor digestion, sluggish metabolism, and obesity, even if it has already become prediabetes or type 2 diabetes. We are fortunate to know about the merits of virgin coconut oil that this site promotes. 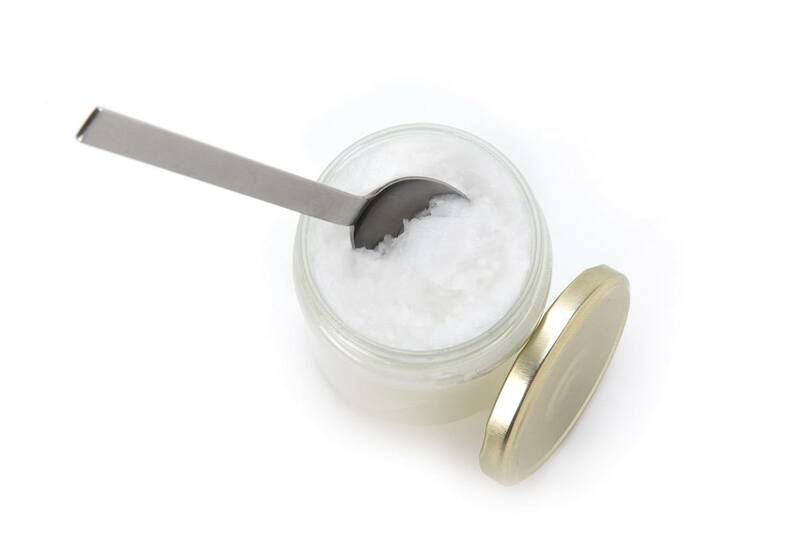 You may access many other informative articles on the health benefits of coconut oil here. Tagged coconut oil, fatty liver. Bookmark the permalink.